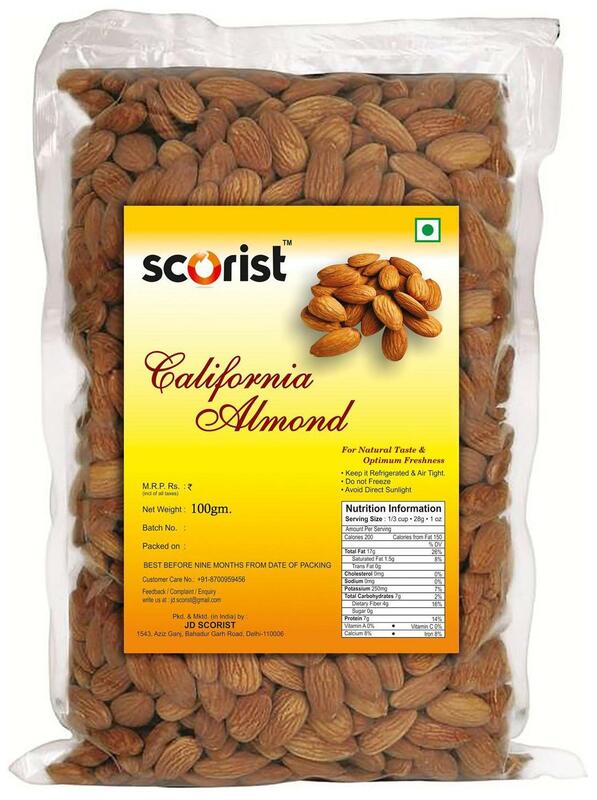 Premium quality American Almonds, right from the land of Sunshine - California. Almonds are rich in nutrients, especially Magnesium, which help curb down Hypertension and maintain good Heart Health. Almonds are naturally rich in fiber and protein, thus proving to be a very healthy snack and your friend indeed, when you're trying to maintain or lose weight. Make excellent Almond Milk, Desserts, Puddings and Trail Mixes with these. Btw, these are very good for roasting too!